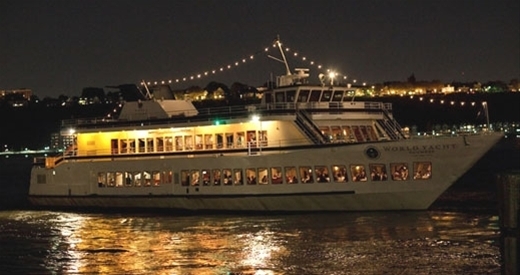 Celebrate Aboard a New York Charter Yacht! Whether it’s a wedding, graduation, birthday, or a family outing, Nautical Holidays is dedicated to helping you create your event and making your celebration a striking success. We extend the services of our professional planners who will work with you to create a menu, decide on entertainment, decorations and any tiny detail you need to make your event memorable. Food can be served in any style you choose, anything from buffets to seated dinners. We have four-star gourmet chefs on staff available to create any dish you’d like. All the ingredients used in your meals are fresh and in-season to give you the highest quality possible. Our ships are fully staffed and ready for any need or type of celebration. We have ships available in any size whether it’s an elegant yacht for 10 or a wedding for 400, we will work with you to create the perfect ambience. Moreover, all our ships are climate-controlled with ample interior spaces in case of inclement weather. Browse through our fleet to find the ship perfect for you here. If you’re ready to book your next event, contact us here. This entry was posted on Thursday, September 15th, 2016 at 1:11 pm and is filed under News & Events. You can follow any responses to this entry through the RSS 2.0 feed.